Once upon a time, there was a girl named Gemma. Gemma lived in the UK and had been working with Salesforce technology, in various forms, for ten years. Having recently started working in a very supportive environment and finding her old self again after a round in the ring with breast cancer, Gemma decided to use some of her down time to tackle some certifications. She started with her favourite one, Data Architecture, then looked up at her wall and thought the wall looked quite sparse. Having decided to keep on going until she reached Application Architect, Gemma ploughed through a couple more exams and got bored of working through it alone. She reached her goal, celebrated and then gave herself a little break. When Salesforce sent her two free certification vouchers, however, Gemma decided to use them up. But she also decided she didn’t want to do it by herself. The architect success community on Salesforce was pretty good, but Gemma wanted the group to actually do stuff too. Gemma started by arranging and sharing monthly recorded webinars that would take deep dives into specific exam topics. Ladies Be Architects was formed, with the first webinar on Territory Management attracting 17 attendees just before Christmas 2017. 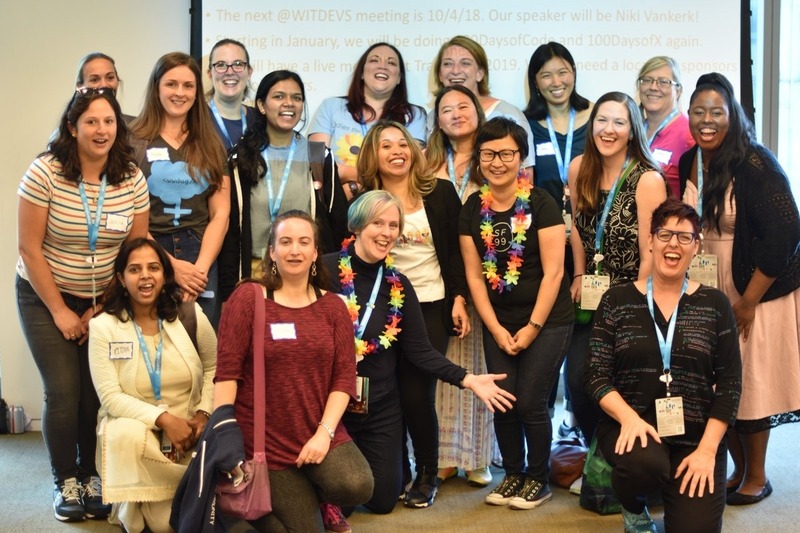 Soon, Gemma discovered that only 5% of Salesforce Certified Technical Architects in the WORLD are women. The cause became more than supporting people through education. It transformed into a determined drive to show women that this credential is worth the hard work. From that point onwards, the membership grew. There were other ladies coming out of the woodwork who were also working on these exams - they joined in, attended the monthly webinars and even volunteered to speak at conferences to spread the word and show the support the group could offer its members. Gemma asked Charly and Susannah to join as co-leaders and we did an amazing Dreamforce where they hosted an incredible THREE breakouts! Having landed with a bump, Ladies Be Architects surveyed its members and now has a few plans in store for 2019, including things we need a little bit of cash behind us for. By helping us, we can give prizes out to our members for the certifications they achieve; we can also run competitions and maybe even an event or two. Can you spare a little bit to help us? Doing it this way means Ladies Be Architects can remain independent from any organisation - no logos - and in turn, it means more can be done to inspire others to follow this path. Ladies Be Architects honestly couldn’t do it without you and your interest. We are here to support you in achieving your goals, celebrate your success and build your confidence.